How is it November? I legit have no idea how 2017 is almost over. Are you ready for the holidays? 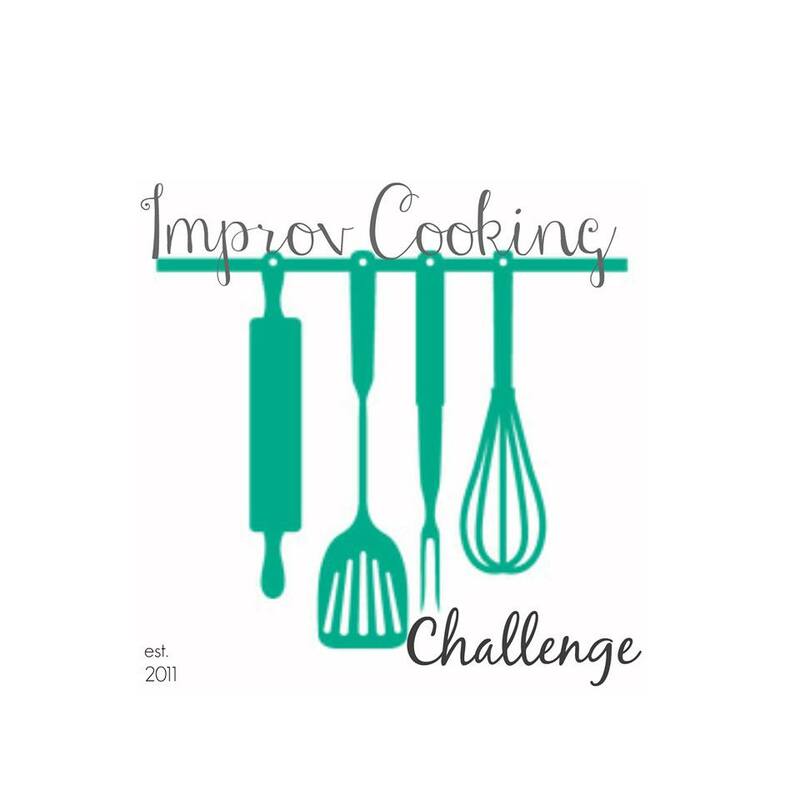 I have my Thanksgiving menu planned and three Christmas gifts purchased but in general, I feel completely and utterly unprepared for the remaining couple of weeks this year. I feel like I could easily take a week off of work and still not manage to have everything in order. 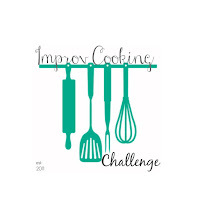 In keeping with the theme of fall, the ingredients for November’s Improv Cooking Challenge are winter squash and bacon. 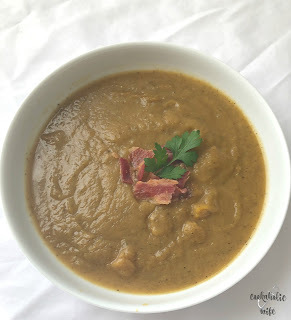 I had a few ideas of what to make, but when I caught an episode of The Kitchen on Saturday morning, I knew I wanted to make butternut squash soup. 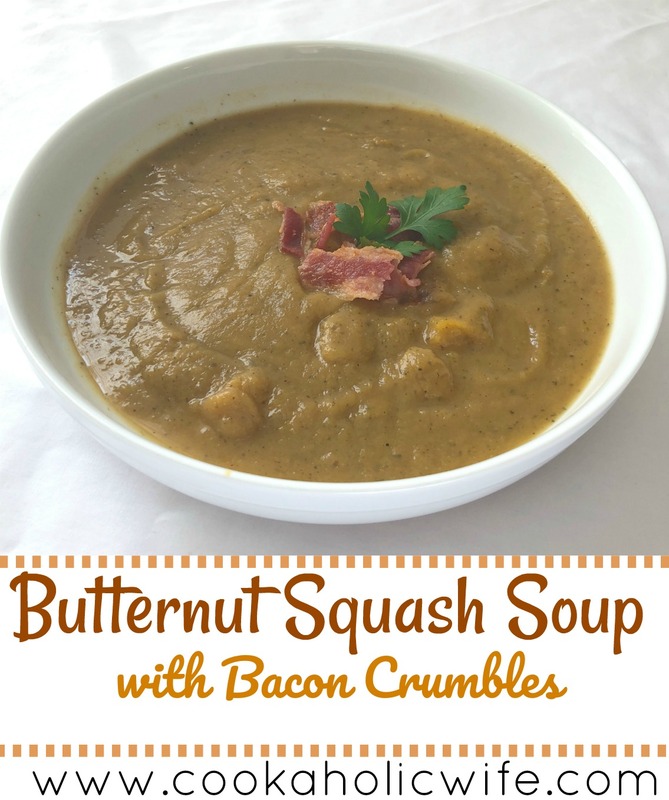 A filling soup for fall made with butternut squash and topped with bacon. 1. Preheat the oven to 400 degrees. Line a large baking sheet with foil. 2. Peel and chop butternut squash into 1 inch pieces. Arrange squash, onions and apple on the baking sheet. Drizzle with olive oil and season with salt, pepper and nutmeg. 3. Roast for 40-45 minutes or until fork tender. 4. Heat the chicken stock in a large pot over medium heat. Wrap the bay leaf, garlic clove and fresh thyme in a piece of cheesecloth and add to the chicken stock. Bring the chicken stock to a low boil. 5. Add the squash, onion apple mixture and allow to simmer for 12 minutes. 6. Remove the sachet and transfer mixture to a blender or puree with an immersion blender. Season to taste with additional salt and pepper. 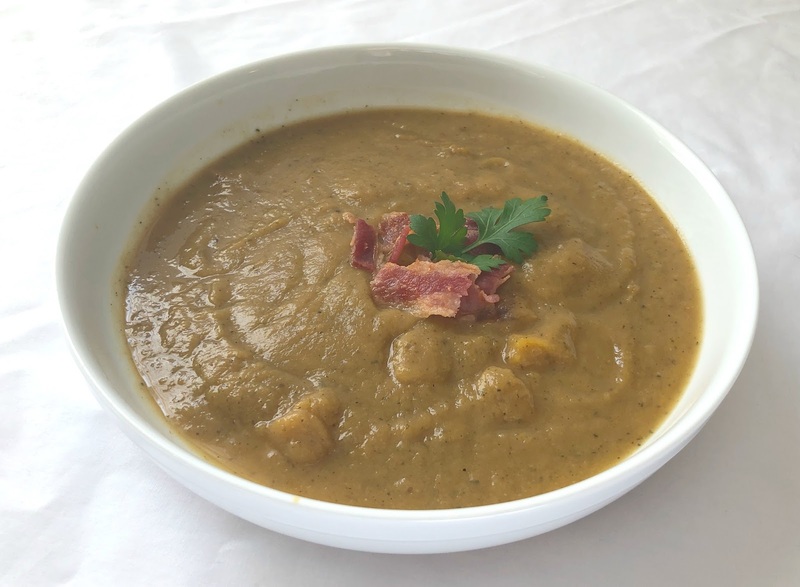 Butternut squash is mild and this soup is the same with a bit of added sweetness from the apple and from roasting the veggies first. I enjoyed this for lunch throughout the week. I love Butternut Squash soup and bacon is the perfect garnish. I *wanted* to enjoy my soup for lunch — unfortunately the fellas beat me to it! They ♥ bacon as much as I do, I guess.